The small business sector is growing rapidly. And while corporate America has been “downsizing,” in recent years, the rate of small business start-ups has dramatically increased. According to recent U.S. Bureau of Labor and Statistics research, there are an estimated 28 million small businesses in the U.S. Some succeed and some fail. Small businesses often seek out SBA loans for assistance with working capital because these loans have the lowestsingle-digit interest rates, and best repayment terms with lower monthly payments compared to other options. However, there are several challenges a small business faces when attempting to secure an SBA loan. To start, not every small business is eligible for an SBA loan. In addition, the SBA process is paper intensive and often time-consuming, requiring prospects to wait weeks or even months before they receive a ‘yes’ or ‘no’ answer (and even longer to receive their funds). During the process, be sure to consider alternative online SBA lenders. These new lending solutions are designed to help small businesses quickly and easily access the capital they need to grow and succeed at different stages of their development. For example, through SmartBiz loans, businesses can prequalify for an SBA loan in minutes and then receive their funds in as fast as fivedays after completing their application. Always keep your business records in order. The application process will be more seamless if you work in advance to keep your financial, accounting and tax records up-to-date and accurate. It’s important for businesses to develop a system, or even use accounting software, to systematize records. Be sure to pay your bills on time. When applying for a SBA loan, you’ll have to meet a certain credit criteria, so it’s important to have the best credit possible. Bankruptcies, foreclosures, charge offs and late payments are frowned upon. And while various financial institutions have different credit requirements, good credit is key. 3. Be prepared to describe spending plans in detail. No matter the purpose, be sure to have a detailed proposal prepared to explain why you need the money. Be prepared to clearly present the use of your funds and the particulars of how the money will be used. Many lenders have different requirements—ask your lender before you start the process. 4. Provide proof that you can pay the loan. Banks want to see that you have demonstrated cash flow sufficient to make monthly loan payments, especially if you are an existing business. They typically conduct the process by analyzing and reviewing past tax returns and existing debt. However, if you are buying a business (or starting one from scratch), be prepared to provide detailed financial projections. It’s also a good idea to present a financial plan that demonstrates that you’ll be able to make monthly loan payments if the loan is approved. 5. Be ready to summarize your professional background. Banks are interested in your business, but also want to get a good glimpse of your character. It’s important to present your professional background in a way that’s not only relevant to the business, but shows that you are someone who has always strived for success. And if you’ve been in the business a while and have a solid background in your industry, be sure to make that clear. 6. Every financial institution is different. While the SBA has specific eligibility criteria, not every bank has the same approval process. Once you’ve identified a few good prospects, ask for their specific criteria or processes. You can increase your chances of obtaining a SBA loan if you begin to lay the groundwork now, before you actually need the money. In fact, prepared loan applicants lend a lot of credibility to what they’re doing. Small business financing is constantly evolving with more options becoming available all the time. 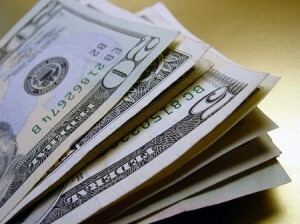 If you’d like to get an idea of your eligibility for an SBA loan, take a peek at www.smartbizloans.com. There, you can find out if you prequalify for an SBA loan in only five minutes.